SsangYong has introduced a special edition version of its new Korando - called, imaginatively, the Korando LE. The new model gets 18-inch alloy wheels, a rear spoiler and privacy glass, while inside there are heated front seats, a leather covered steering wheel and gear shift, plus cruise control and rear parking sensors. The latest addition to the Korando range is priced from £17,995 on the road and like the rest of the SsangYong range, comes with an impressive five year unlimited mileage warranty. It is available in Grand White as standard, plus metallic Vitamin Red or Space Black. Power comes from the 175PS 2.0-litre diesel engine which develops 360Nm of torque with CO2 emissions of 157g/km. 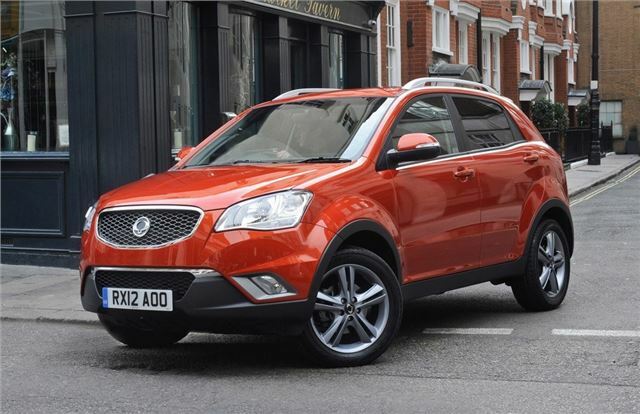 The LE has the same mechanical specification as the two wheel drive Korando S.
The Korando LE is also available with a low interest finance offer at £259 a month, which also includes five years free servicing. The offer allows for one service per year and an annual mileage of up to 12,500 miles. The five years free servicing is also available on all Korando models purchased with the finance offer during February and March. The Korando LE finance offer is available throughout February and March from participating SsangYong dealers.